In London (population circa 8.5 million) its residents are always be on the go, taking off to the next destination on one of its double-decker buses, in its beeping taxis, in private cars or swerving through the city on its growing population of city bikes. While these bicycles are a happy site in this massive city, they have admittedly (when not supported by the necessary infrastructure) added to London’s existing traffic congestion… Meanwhile, London’s most famous transportation method remains its subway system – the London Underground, or the Tube. 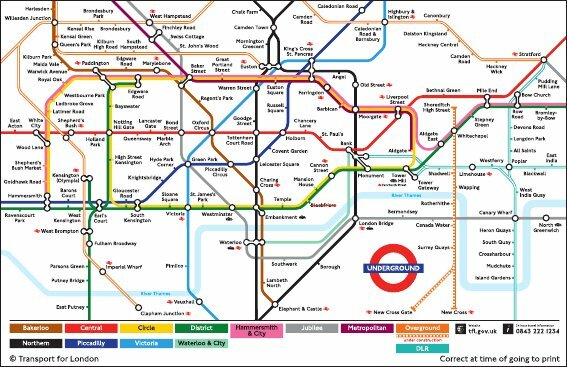 This tube links the city’s different boroughs through a vast network of 11 metro lines, converging at different points to create an image vaguely similar to a Piet Mondrian painting – full of colourful lines and sharp angles. At the centre, the Underground could serve as Absolut Vodka’s latest avert – Absolut London. Besides its artistic flair, London depends on its Tube, which features 270 stations and over 400 kilometres of track. While London traffic is always a nightmare, the Tube helps alleviate some of the pressure, carrying circa 1.27 billion passengers a year. London’s Tube is most famous for its underground (and over ground) metro trains; over the years though some of its stations have been decommissioned. After all, it first opened in 1863. This has allowed architects and urban planners to conjure up creative ideas to put these former Tube stations, and the underground networks connecting them, back to use. 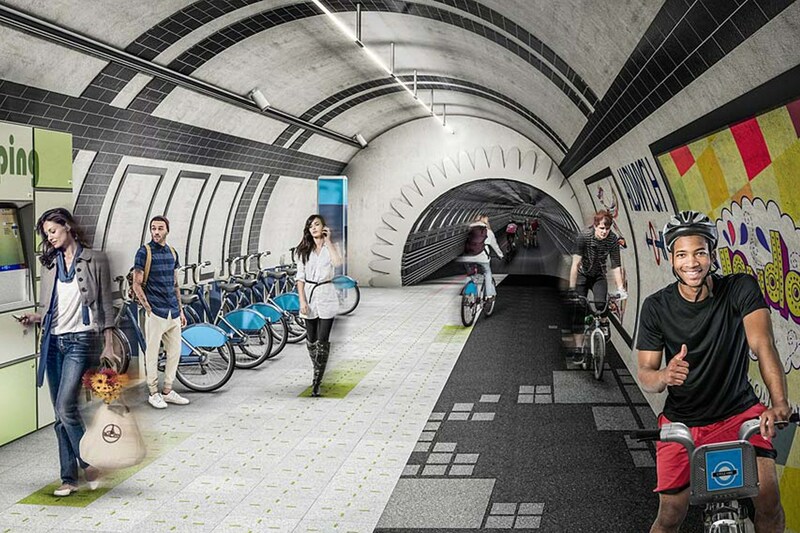 One of the most prominent is referred to as the London Underline, a concept of Gensler Architects to repurpose the vacated spaces into a network of bike lanes and pedestrian walkways. This concept, which won the London Planning Award for Best Conceptual Project, demonstrates London’s new stance on supporting safer cycling and better cycling infrastructure. If enacted, it could be a win-win for all the transportation modes involved: safer for the cyclists, while easing some of the cycle congestion on the already crowded surface streets – that is at least until London urban cycling becomes even more popular, above and below ground. Meanwhile, the London Underline has been written up in the Guardian, WIRED and Inhabitat, among others and featured in a short YouTube clip below. More on the evolving cycling trend and infrastructure planning in London, on Guardian Cities. Previous Post Get cool. Ride the bus.